Pete’s practice emphasizes creditor’s rights in bankruptcy and under the Uniform Commercial Code, commercial loan enforcement and workouts, collateral disposition, SBA matters, bank operations, loan documentation and loan product development. Pete has been selected for inclusion in Superlawyers listings each year since 1999 and selected for inclusion in Best Lawyers in America ©2014 each year since 2014. 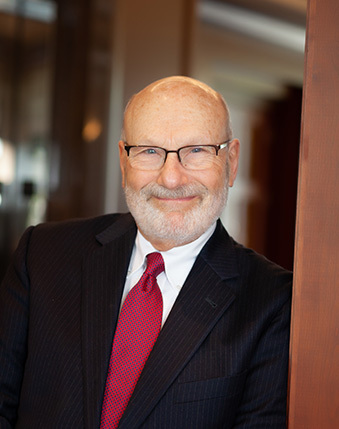 He has also been the court-appointed Chair of the Bankruptcy Practice Committee of the U.S. Bankruptcy Court, District of Minnesota since 2012. Pete is a member of Bankruptcy and Commercial Law Sections of the Minnesota State Bar Association, an associate member for Minnesota Banker’s Association and Independent Community Bankers of Minnesota and a former member and investigator for the Second Judicial District State Bar Ethics Committee.